Maui is the "best". This island paradise wins awards in just about every "best" category. There are tiny villages for exploring and sophisticated towns featuring world class restaurants. Lodging choices run from tasteful B & B's to elegant resorts. Beaches are spectacular. Sunsets are magnificent. Outdoor adventure activities are too numerous to list. 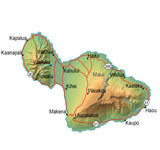 "An island of micro-climates" best describes Maui' weather. You’ll find a wet side, a dry side, a tropical region and a cooler 9,740' tall mountain. 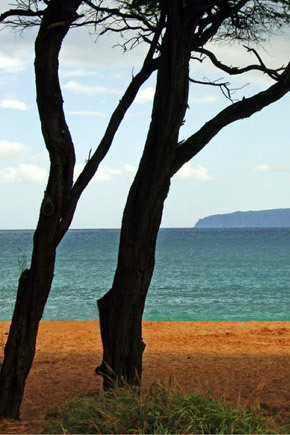 Year 'round temperatures range between 75 degrees and 85 degrees F.
You probably don’t need to be reminded that you’ll most enjoy your visit to Maui when you reserve an island rental car in advance. Several of the areas you'll want to explore offer side trips and interesting stops. Make the most of your leisurely "island time" and forget minute-by-minute driving tour schedules.